Don't be caught half dapper. 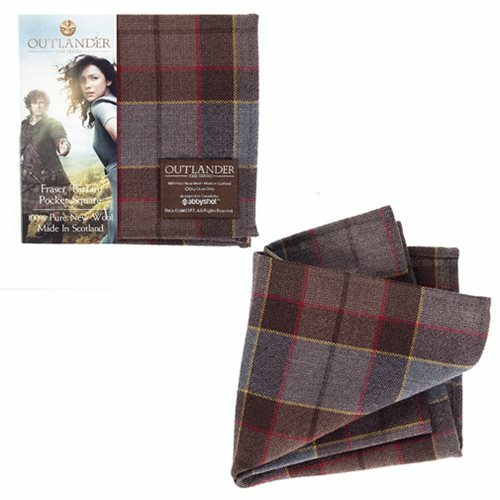 The Outlander Fraser Tartan Pocket Square will ensure a bounty of swooning! This 100% pure new wool pocket square makes one realize that the first gentleman to put a serviette into a coat pocket must have been a canny lad indeed. Salute him with this Scottish-made pocket square made from the official registered Fraser tartan. It measures 12-inches square and will garner many a tipped hat in your direction. Age 14 and up.